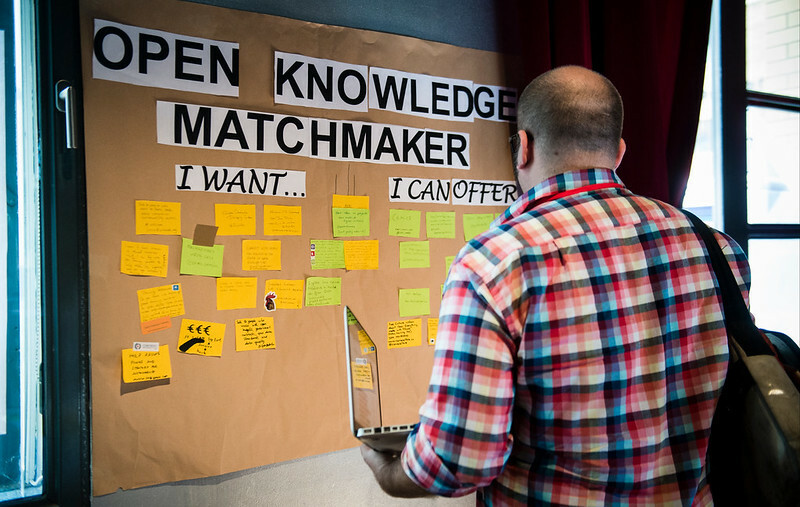 Open Knowledge Festival aims to encouraging people to plan seeds of discussion, talk together, learn from each other and exchange helpful feedback. That’s why is this section we take a look (and a read) at what has been written and said about OKFestival 2014 – your reflections, thoughts and words. From major newspapers to influential blogs and great tweets, here’s the place to walk the talk! There have been many open data, activism and hacking conferences over the last few years, but the atmosphere of this one was electric. For once, people believed that they might actually succeed in changing the status quo […] Industry is clearly paying attention, with sponsorship from Google and the investment firm Omidyar Network, and a keynote speech from Eric Hysen, Google's programme manager for elections and civic engagement […] More than the inspiring atmosphere of the festival, more even than the presence of serious policy players and businesses, it was this sort of critical approach that turned what could have been dismissed as a congress of zealots into a rational and legitimate lobby for change. That’s the idea that grips our imagination and takes us and many others to the Open Knowledge Festival in Berlin this week. Browse through the Programme and you’ll see why it’s going to be a couple of days packed with lightning sessions and chance conversations. Many colleagues working on aid transparency will be there and it will be a fantastic opportunity to meet and share ideas. Of course, we met again numerous activists we got to know during these last 12 months in their home country. Seeing them at the other side of the world was a very warm feeling and simultaneously the best opportunity to follow up the latest status of their projects we documented on the way. But, as the list of OK related projects don’t stop there, we could discover many new faces of the community. And must say, I've seen few large events so well organized and well-run, so hats off to you and your team! Excited for the week! When I registered for Open Knowledge Festival, I had a broad idea of what the main themes will be and what types of people it might attract, but it wasn’t until I showed up at Kulturbrauerei this afternoon that I realized just how important this event is, at such a pivotal time in our data and knowledge history. And then I got *really* excited about being here. 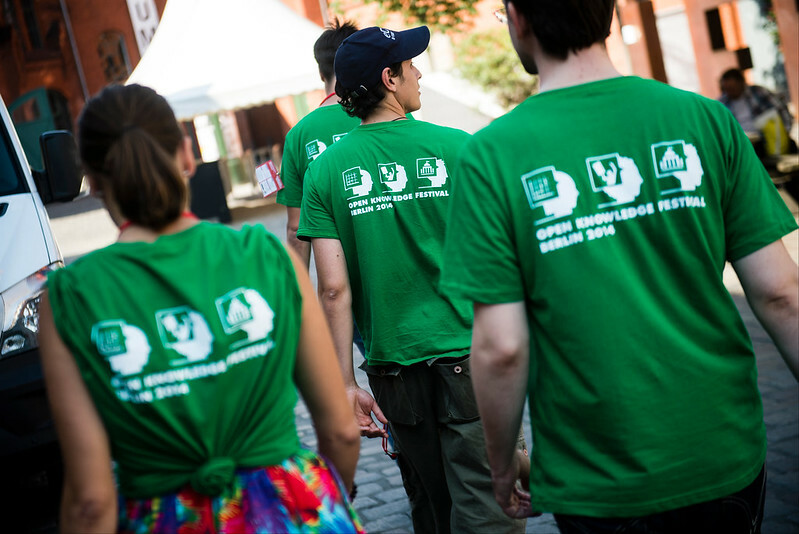 The Festival is the flagship event of the Open Knowledge Foundation, an international nonprofit promoting open tools, data, and information for the positive transformation of society. 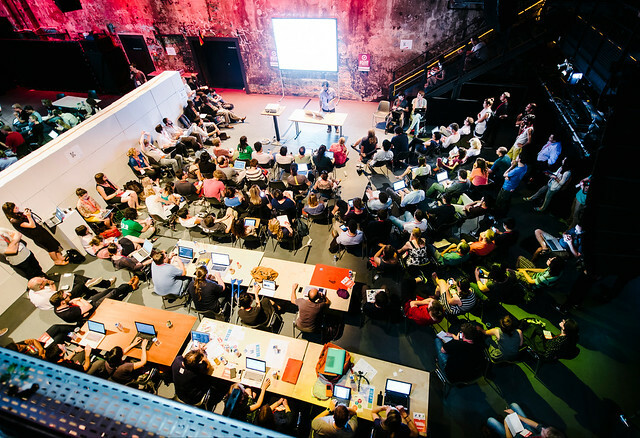 It’s a well-oiled event, full of energy and creativity, bringing together an eclectic group that goes as far as to include street artists, EU commissioners, and a lot of data geeks scientists, to build a community around the ideals of openness and transparency. The “Festival” prides itself on being very different to a traditional conference … You cannot fail to bump into someone interesting and helpful with this many talented and passionate people in close proximity… I doubt there is anywhere else where this level of serendipity is possible for those of us with an interest in these open topics… The opening keynotes each day have also been incredibly interesting and have set the theme for the event… I would like to thank the organisers (and volunteers) for putting together a fun, interesting and inspiring event. 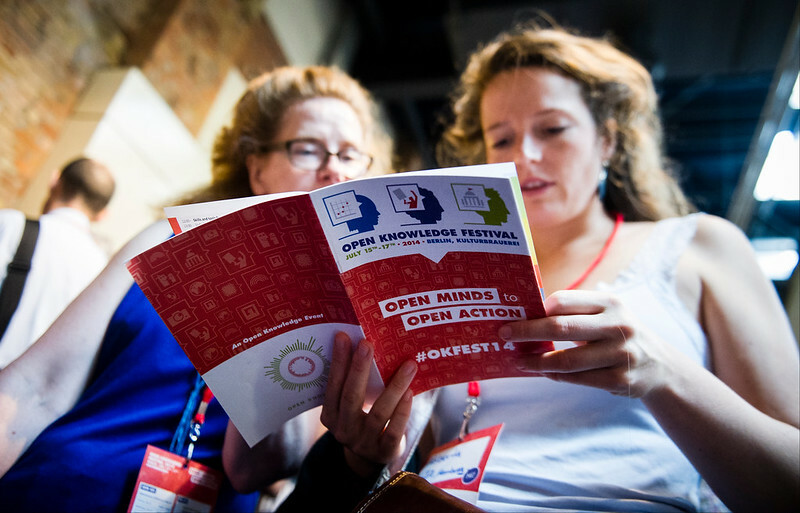 The Open Knowledge Foundation Festival has been an intense stream of events and a collective and interactive exploration. 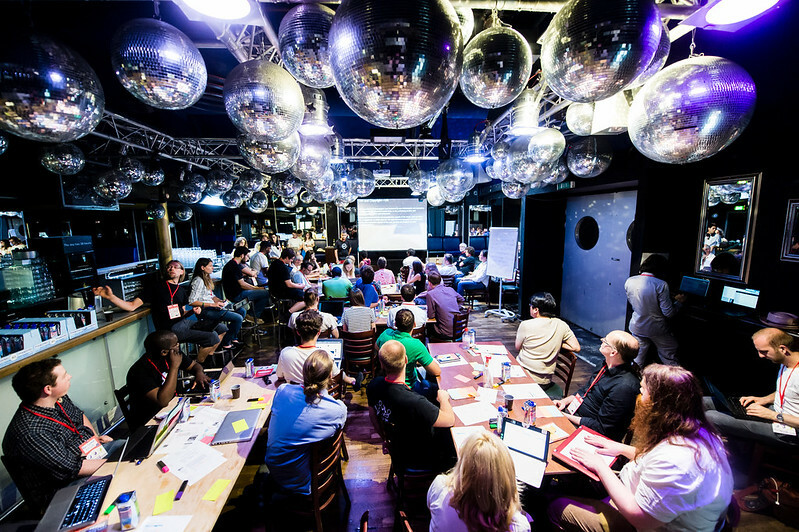 Debates, round tables and experimental workshops covered a huge set of topics… We had the impression of being immersed in a world where “open” is a given rather than an adjective, a pre-condition rather than a goal. This was the leitmotif of every story told, and every person we met… we had the chance to take part in many stimulating sessions and meet interesting people. Many of these have inspired new actions and solutions for our citizen monitoring marathons. Berlin hosted the Open Data community for an overwhelming week of shared knowledge and experiences… Held under the slogan “Open Minds to Open Action”, the festival’s ultra-packed schedule forced us, at some point, to choose between having engaging conversations or attend the next session – and by the looks of the tables outside, we weren’t the only ones facing this dilemma. This was a hugely rich exchange. Our discussion was not only insightful but also fun, and we are thankful for the people participating on a hot summer day. Outcome? Many things on which we will report later, but one thing is clear: Yes, open knowledge can save lives, but we need Open knowledge & Open Innovation in the Public Interest. For me, the bottom line of this festival was quite clear: Open is here. It’s happening everywhere, it permeates all walks of life and affects everything we do. It’s just as relevant to our daily lives, like looking up an address or filing our tax returns, as it is to global projects, like exposing corruption, educating societies, and implementing open standards. 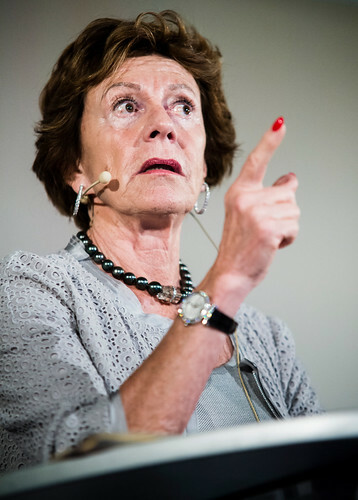 Commissioner Kroes said in her talk that ‘data is not a four-letter word. It’s changing our lives, whether we want it or not. We cannot ignore it.’ … I came into OKFestival from the “open source” part of “open”. I came out of it with the broader meaning of “open”. I truly hope that that the wonderful work that all those involved in open data, knowledge, science, education, and technology will reach out and help all of us. As for me, I now feel more empowered to continue the journey back in my own communities with a new mental toolkit a massive motivation boost! As with all conferences, a large part of the value of the Festival came from having all of the people from your community in the same place at the same time. At points, it was a bit like my Twitter feed had come to life and I was fortunate to have a number of rewarding conversations with new as well as familiar people… The discussions were both about the content of the keynotes and sessions as well as the missed opportunities. For me the keynotes were the highlight of the Festival and, in particular, those on the second day have continued to get me thinking about the state of the open data agenda..... Overall, I was impressed by the Google contribution, which was expanded on in other sessions and will be followed up with published research. It’s nice to have some research in this area and hopefully these contributions will continue to spur further discussions… Thanks also to all at Open Knowledge for getting us all together and mixing us all up in Berlin. It seems that the work now, if we're convinced about the need for collaboration on infrastructure and ecosystems, is about how we go about doing this with the activity we already have.